Does your Bengal have a problem? 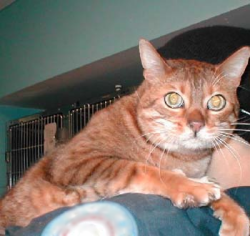 The BengalCatRescue email list at Yahoogroups and Bengal Rescue Network on Facebook have many individuals with various levels of experience dealing with all sorts of issues. Please contact someone to see if we can help you fix the problem, so you won't need to surrender your cat. Shelters and Rescues that need assistance with a Bengal, or have a Bengal they believe would have a better chance at rehoming through the Bengal Rescue Network, should contact the appropriate Regional Coordinator under Home, Regional Contacts. Contact your breeder and ask for assistance. Most breeders will take back their own cats, and would rather do that than see them in rescue. Be a responsible owner and vet your cat yearly. Your Bengal should be current on rabies, FELV/FIV tested and if over one year of age, it should be altered. Cats should have a veterinary record showing they have been vetted within the last year. Copies of any vet records available to date are required when surrending your cat. Should documents not be readily available, a name and contact phone number for your vet will be required. 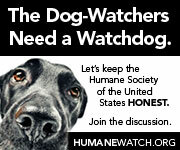 Responsible pet ownership includes ensuring the necessary vetting has been completed. If, however, your cat is not current with vetting, please let us know and we will see if we can help. Arrange to bring the cat to the closest foster near you. You will be responsible for primary transportation to the foster home. Be prepared to drive to the closest open foster home to drop off your cat. Specific arrangements for the transport will be finalized through the Regional Coordinator and specified foster. Is there a surrender fee? No. But we appreciate any donations, as most Bengal rescues cost more than the adoption fee received when adopted out. If you cannot afford a donation, things like carriers, food and bedding are other suggestions. You will need as much information as you have available, in paper copy, regarding the vetting history of your Bengal cat (see "Be a responsible owner and vet your cat yearly" above). In addition, please read the "Surrender Agreement", found on the menu above under Surrender, Agreement. Finally, complete the "Intake Form" found on the menu above under Surrender, Intake Form. Will my cat be caged? Caging depends on a variety of things, such as your cat's temperament, its ability to get along with other animals and kids, the Foster's location, how full we are at the time, your cat's current and past health, and results from the vet. However on the occasion that the cat will be caged, fosters have good sized runs, with plenty of room; most cages are 4 x 5 x 4 or bigger. Most cats are not caged. A cat that is not up to date on rabies/vaccines, not FELV/FIV checked and not altered will be isolated, and probably caged, until brought up to date. Is the Bengal Rescue Network no-kill? We do not put down Bengals unless there is a medical (physical or psychological) reason to do so, such as a terminal illness or uncontrollable/random aggression to humans. Who will foster my cat? This is dependent on a variety of things. The same factors will apply as those in whether or not your cat is caged.